Before joining Bloomberg in May of 2008, Norman Pearlstine, headed the Carlyle Group. He has also served as senior advisor to Time Warner, following eleven years as editor-in-chief of the company's Time Inc. subsidiary. As editor-in-chief, the fifth in the company's history, Pearlstine oversaw the editorial content of Time Inc.'s 154 magazines, including Entertainment Weekly, Fortune, In Style, Money, People, Real Simple, Sports Illustrated, and Time. 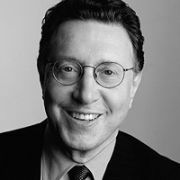 Prior to joining Time Inc., Pearlstine worked for The Wall Street Journal from 1968 to 1992, except for a two-year period, 1978-1980, when he was an executive editor of Forbes magazine. At the Journal, he served as a staff reporter in Dallas, Detroit and Los Angeles (1968-1973); Tokyo bureau chief (1973-1976); managing editor of The Asian Wall Street Journal (1976-1978); national editor (1980-1981); editor and publisher of The Wall Street Journal/Europe (1982-1983); managing editor (1983-1991); and executive editor (1991-1992). After resigning from the Journal in June 1992, Pearlstine spent a year launching Smart Money magazine for the Journal's parent, Dow Jones & Company, and for Hearst. He then became general partner of Friday Holdings L.P., a multimedia investment company, in April 1993 and held that position until joining Time Inc. in October 1994. In January 2005, the American Society of Magazine Editors named Pearlstine the recipient of its Lifetime Achievement Award and inducted him into the Magazine Editors' Hall of Fame. He was honored with the Loeb Lifetime Achievement Award for Distinguished Business and Financial Journalism in 2000. He received the National Press Foundation's Editor of the Year Award in 1989. Pearlstine is President of the Atsuko Chiba Foundation, which provides scholarships to Asian journalists for study in the U.S. He also serves on the boards of the Carnegie Corporation, the Committee to Protect Journalists, the Arthur F. Burns Fellowship Program, and the Tribeca Film Institute. He is President of the Advisory Board of the Nieman Foundation at Harvard University, and serves on the advisory boards of the Annenberg School of Communications at the University of California and the City University of New York's Graduate School of Journalism. He is also a member of the Council on Foreign Relations, and the American Academy of Arts & Sciences.. Pearlstine received his B.A. from Haverford College and his L.L.B. from the University of Pennsylvania. Pearlstine is the author of Off the Record: The Press, the Government, and the War over Anonymous Sources.